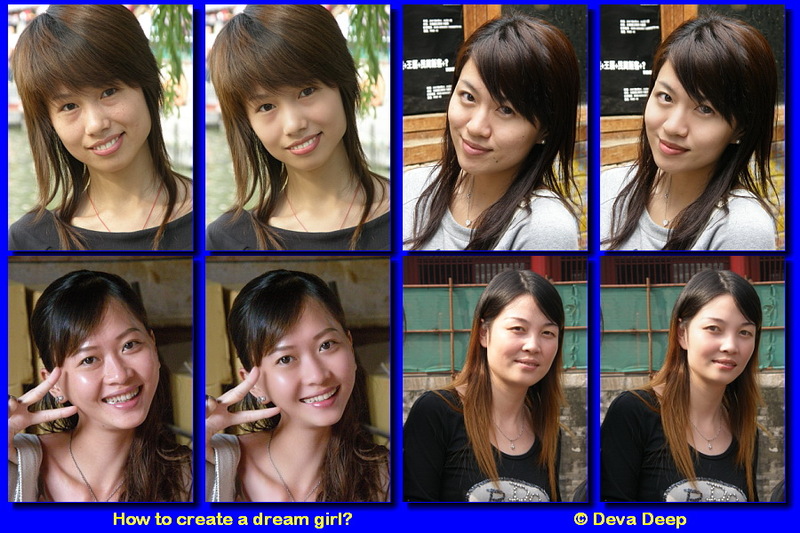 How to create a Dream Girl? In all the advertisements in glossy and women magazines we can see a kind of dream girl with a perfect face. And all the advertisements suggest the girls that they can have the same look when they use product X. The sad reality is: this is just done in the computer. To show how easy that is I have used a really great program: Portrait Professional. With just a few clicks you can create the perfect portrait according to your own taste. I give here examples with some of the the Asia girls pictures. So girls never compare yourself with the pictures in all the advertisements and magazines, they are just fake.